Whether you were convicted of a juvenile crime or a misdemeanor or felony as an adult, your criminal record can and may have adverse effects on your future. 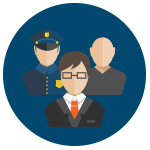 A past crime can prevent individuals from qualifying for certain jobs, and may be used against an individual if they ever come into contact with law enforcement in the future. There are options however, and the Law Office of Jimmy Cha can help. Many people who have been convicted of a crime as a juvenile have a mistaken belief that their records will seal automatically on their eighteenth (18) birthday. This is not true! If you were convicted of a crime as a juvenile and were NOT sent to the California Youth Authority and the crime committed is not listed in the Welfare and Institutions Code § 707(b), we can petition to the court to seal and destroy the records of your conviction. Once a record is sealed, the proceedings in your case shall be deemed never to have occurred and you can deny ever having had a conviction. Sealing your juvenile record erases your juvenile arrests and conviction from your permanent record. Sealing completely destroys the criminal record and all relevant information, such as finger prints, booking photos, arrest records, documents, case disposition, etc. If you were convicted as a juvenile and were committed to the California Youth Authority, you may petition the court to set aside the verdict of guilty in your case and have the case dismissed. This will release you from all penalties and disabilities resulting from the conviction, including, but not limited to, any disqualification for employment or occupational license. Expungement of your California criminal record is a legal process to clean your criminal record. Under California law, your misdemeanor conviction can be expunged, as long as you successfully completed the terms of your probation. 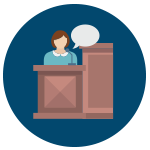 If you wereNOT placed on probation, your conviction can be expunged one year after the date you plead guilty or no contest. A successful Expungement of your criminal record in California allows you to continue with your life without having to disclose a record for many employment purposes. It is important to note that not all felony and misdemeanor criminal records can be cleaned in California. This is why it is important to contact an experienced California Criminal Defense Expungement Attorney to handle this very complicated area of law and make sure you are given every possible opportunity to clear your criminal record and receive an Expungement. 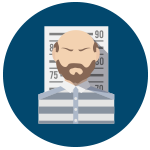 It is important to note that expungements do not erase or destroy a criminal record. The arrest, prosecution, and conviction remain in the file. However, once your record is expunged, you can legally answer “No” to direct questions of whether you were convicted of a crime. There are 3 exceptions: 1) in an application for peace officer or public office, 2) in an application for a state license, or 3) contracting with the California Lottery Commission. In all other cases, you can deny the conviction. 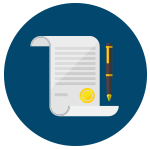 Please note that certain licensing agencies like the Department of Real Estate require that you expunge your record as criteria for licensing. And although an expungement does not erase a conviction, it will help clear a person’s name in the public record and allow them to move forward with his/her life. Under California Penal Code Section 1203.4, a felony conviction can be expunged, as long as you were NOT sentenced to state prison and you successfully completed the terms of your probation. If you were instead sent to state prison, meaning that upon release, you were on parole rather than probation, you CANNOT expunge or reduce your felony conviction. In such cases, you may be eligible to obtain a Certificate of Rehabilitation. Moreover, if your conviction was for a reducible felony, commonly known as a “wobbler” then we may be able to reduce your felony to a misdemeanor before having it expunged. 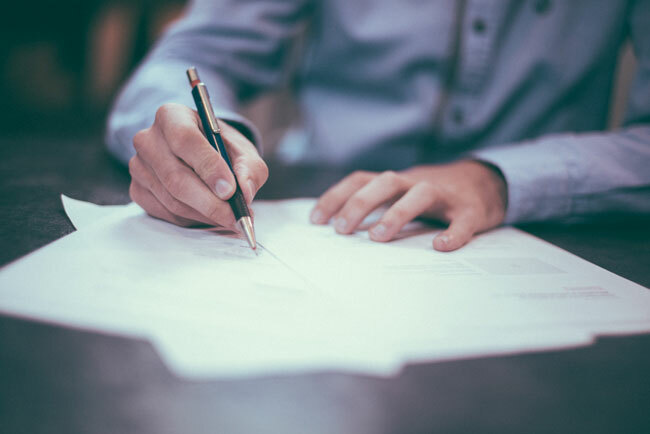 Once your expungement has been granted, you will be provided with a signed and certified court order indicating that your conviction has been dismissed or set aside. 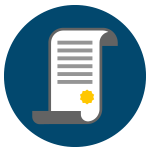 As indicated above, expungements do not erase or destroy a criminal record, and you must still disclose your conviction in certain circumstances. For those individuals who do not qualify for an expungement, desire to apply for a Governor’s Pardon, or are required to register pursuant to Penal Code Section 290, they may qualify for a Certificate of Rehabilitation. Pursuant to Penal Code Section 4852.01. A Certificate of Rehabilitation is a court order, which declares that a person who has been convicted of a felony or qualified misdemeanor is rehabilitated. A Certificate of Rehabilitation is not automatic but if it is granted, it is forwarded to the Governor by the granting court and constitutes an application for a pardon. A Certificate of Rehabilitation does not clear your record. It just puts something positive on your record by showing that you were declared rehabilitated by the Superior Court of California. In order to qualify, there are several eligibility factors, and the process can be quite lengthy and difficult. 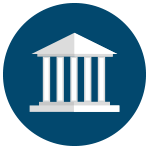 Therefore, you need an attorney who has the skills necessary in order to ensure a timely process. A pardon is an honor traditionally granted only to individuals who have demonstrated exemplary behavior following a felony conviction. A pardon will NOT be granted unless it has been earned. This is why obtaining a pardon is viewed as an achievement based upon proof of a useful, productive, and law-abiding life following conviction. There are two types of pardons, Executive Pardons and a Governor’s Pardon. The President of the United States is the only person who can grant an Executive Pardon for convictions for violation of federal statutes. In cases involving convictions for violation of state statutes, the pardon must be granted by the California Governor. 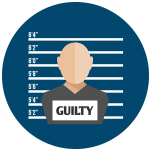 There are many reasons why a person convicted of a crime may want to terminate their probation early. For some, they may want to move on with their lives without something hanging over their heads. For others, they may want to expunge their conviction as early as possible, and in order to do so their probation period must have been completed. Whatever the reason, in certain cases, the defendant can ask the court to terminate probation early, contingent upon that all the terms of probation have been completed. 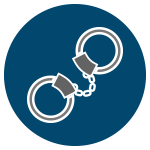 Even though you were not charged or convicted of a crime, the arrest will still show up on your record. Many people have the misconception that if their case was dismissed or never filed, that their arrest record no longer exists. Unfortunately, this is not true, as the record of arrest, the offense report, finger prints, case disposition, etc., are still around unless you move to seal the record. Because there are so many options in regards to clearing your criminal record, please contact the The Law Office of Jimmy Cha, and see what is best for you.